O secretário-geral das Nações Unidas, António Guterres, vai ser orador no Web Summit, a cimeira de tecnologia, que vai ter lugar em Lisboa pelo segundo ano consecutivo, entre os dias 6 e 9 de Novembro onde nós também iremos estar presentes. António Guterres, the ninth Secretary-General of the United Nations, took office on 1st January 2017. Having witnessed the suffering of the most vulnerable people on earth, in refugee camps and in war zones, the Secretary-General is determined to make human dignity the core of his work, and to serve as a peace broker, a bridge-builder and a promoter of reform and innovation. 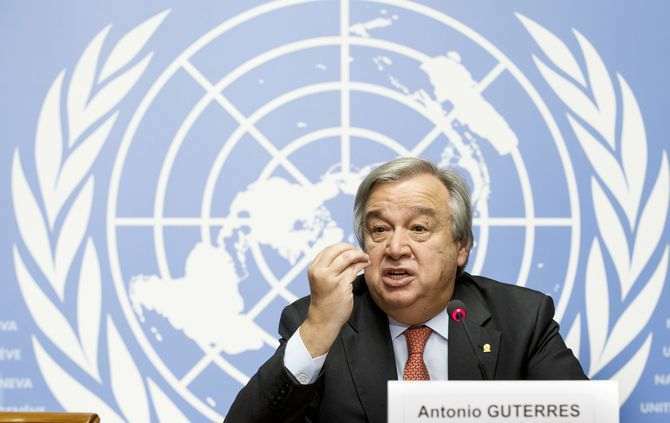 Prior to his appointment as Secretary-General, Mr. Guterres served as United Nations High Commissioner for Refugees from June 2005 to December 2015. Before joining UNHCR, Mr. Guterres spent more than 20 years in government and public service. He served as prime minister of Portugal from 1995 to 2002. Mr. Guterres was born in Lisbon in 1949 and graduated from the Instituto Superior Técnico with a degree in engineering. He is fluent in Portuguese, English, French and Spanish. He is married to Catarina de Almeida Vaz Pinto, Deputy Mayor for Culture of Lisbon, and has two children, a stepson and three grandchildren. António Guterres vem juntar-se a outros portugueses conhecidos internacionalmente como Luís Figo, José Neves, António Horta Osório, Carlos Moedas. Paddy Cosgrave, CEO do evento, sublinha ainda a presença de oito chefes de Estado, seis prémios Nobel e cinco comissários europeus. A Equipa do Tech em Português irá estar presente no evento, veja aqui!